The cornea is the clear window forming the front of the eye, and is responsible for protecting the eye and focussing incoming light. 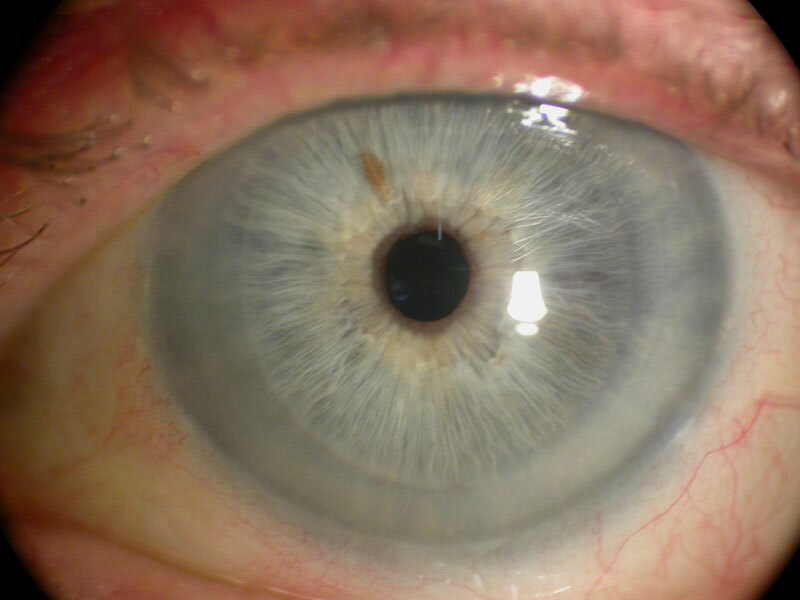 The cornea is clear because of the precise lamellar, or layered, structure of the fibres which form the bulk of the cornea (the corneal stroma). 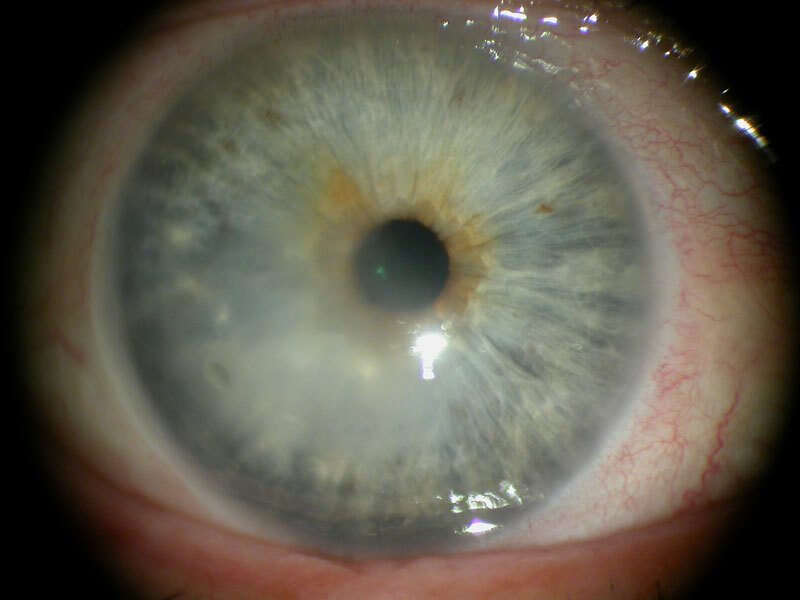 Fuch’s endothelial dystrophy (FED) is a genetically determined disorder of the deepest layer of the cornea, facing the inside of the eye, called the endothelium. This is a single layer of special cells that work as a pump, draining fluid out of the stroma. Without the endothelial pump the stroma would become water-logged, disrupting the orientation of the stromal fibres, resulting in a cloudy cornea. FED may not cause any symptoms at all, but it does tend to progress slowly with time. Symptoms often begin with glare and with blurred vision. To begin with, blurred vision is usually worse on waking after sleep, as corneal swelling (oedema) is worsened by eye closure. As the condition progresses the time taken to clear increases, and eventually the vision may be permanently misty. Vision may deteriorate in humid conditions such as in the shower, and may improve in the wind, or after application of air from a hairdryer. Sometimes FED only causes symptoms after cataract or other eye surgery, although usually the signs can be identified by the examining doctor before surgery. With more severe water-logging of the cornea the surface can ulcerate, causing pain and sometimes secondary infection. Mild disease may not need treatment, or may be helped by the use of hypertonic saline (5% ointment), which helps draw fluid from the cornea. 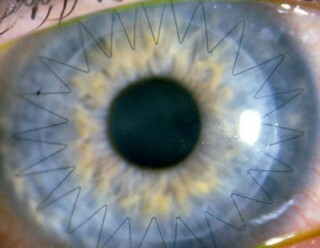 Where vision is severely affected, then penetrating keratoplasty or endothelial lamellar keratoplasty (see separate information pages) may be necessary. 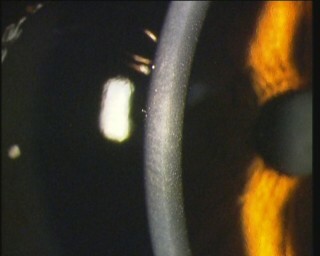 Special care and techniques are required during cataract surgery to reduce the risk of corneal failure after surgery. If this occurs then keratoplasty may be needed. If the cornea is at especially high risk of failure or if it is already starting to fail, then cataract surgery and corneal transplantation might both be required, either as a combined procedure or in two stages. 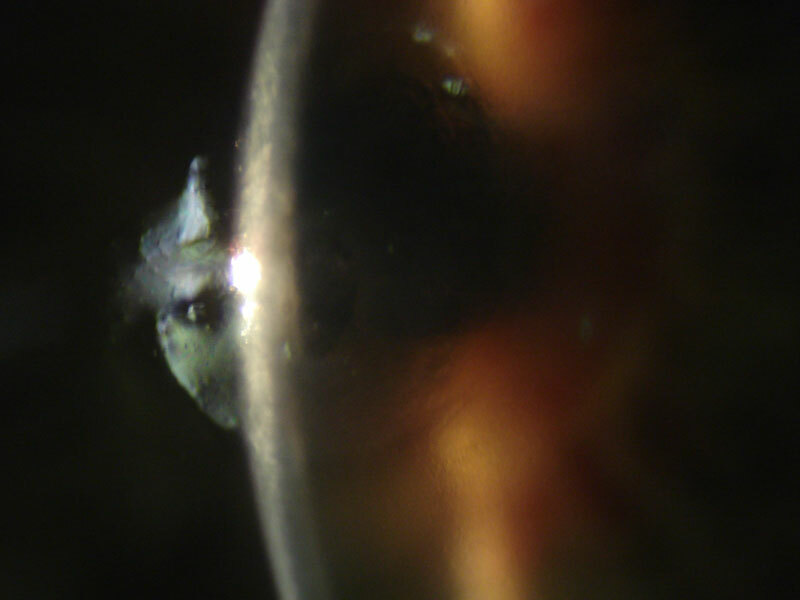 There are a number of options, and the right procedure for a patient will depend on the severity of the Fuch’s dystrophy, the degree of cataract, and the state of the fellow eye. 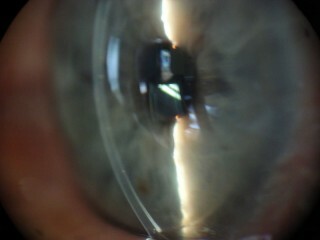 Penetrating (full thickness) corneal grafting is reserved for regrafts and specific complex cases.